...and explore the beautiful Ionian Islands! ...and have a magnificent time aboard your yacht! The Ionian Islands are one of the most popular sailing regions in Greece not only because of their natural beauty, but also because of very pleasant sailing conditions. 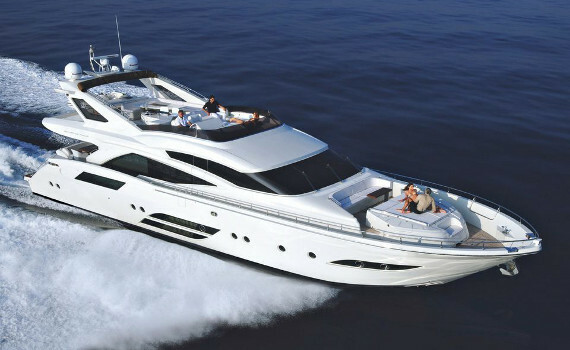 For the best cruising experience aboard a yacht in the Ionian, here is some useful information. Ionian Islands experience less severe winds in summer months than e.g. the Aegean. The predominant wind in the summer is the north-west maistro, weaker in strength but more stable than the meltemi. Southern winds blow in September, October and April, mainly in the afternoon. So in order to explore all the beauties of the Ionian Islands aboard your charter yacht, go cruising around Corfu, Lefkas, Ithaka or Zakynthos in the period from June to September. 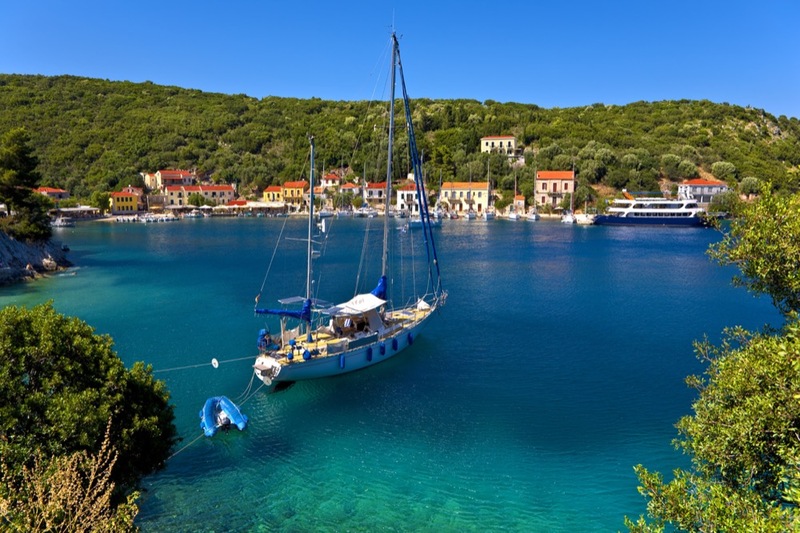 What better way to explore the Ionian Islands than aboard a cruising yacht? Charter a yacht and visit the amazing Corfu island with its two lakes, Korission and Antinioti, and a pleasant sailing climate. The center of the island, Corfu Town, features an architectural mix of Venetian, classical and British colonial styles. 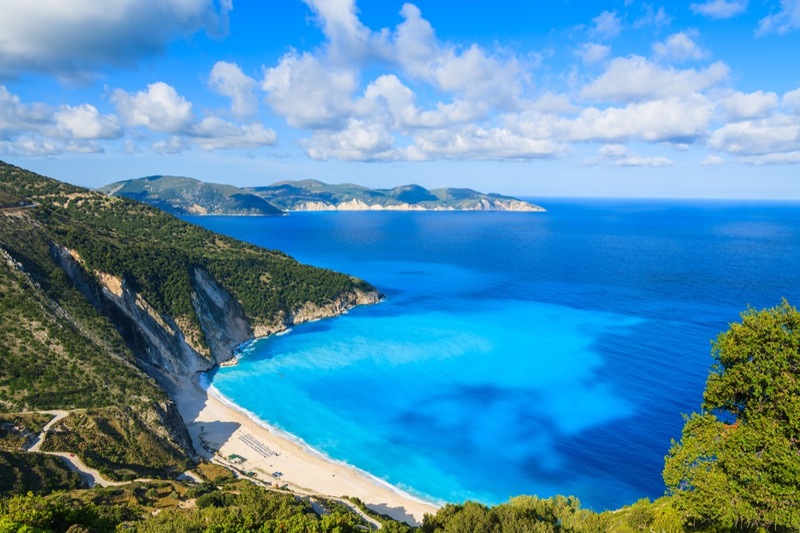 Kefalonia, the largest of the Ionian Islands, is best known for its limestone mountains and beautiful beaches. A narrow passage separates it from Ithaka, the mythical island of Odysseus. Lefkas is a popular yacht cruise destination due to its sandy beaches and amazing sea-caves. Zakynthos, the southernmost of the Ionian Islands, features the famous Blue Grotto. 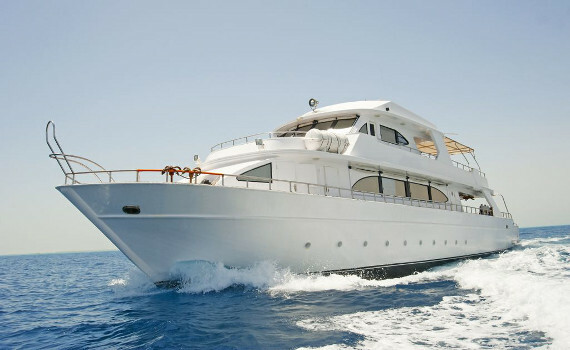 Explore the beauties of Greece on a charter yacht! Visit the beautiful sandy beaches on the south and east coasts of the island, go swimming with sea turtles or scuba diving in underwater sea caves! A rocky island with amazing white-pebble and sandy beaches, as well as emerald waters of the Ionian Sea. A destination for relaxation. Picturesque villages with white stone houses, sandy coves and beaches with turquoise waters make Lefkas a favorite Greece cruise destination. 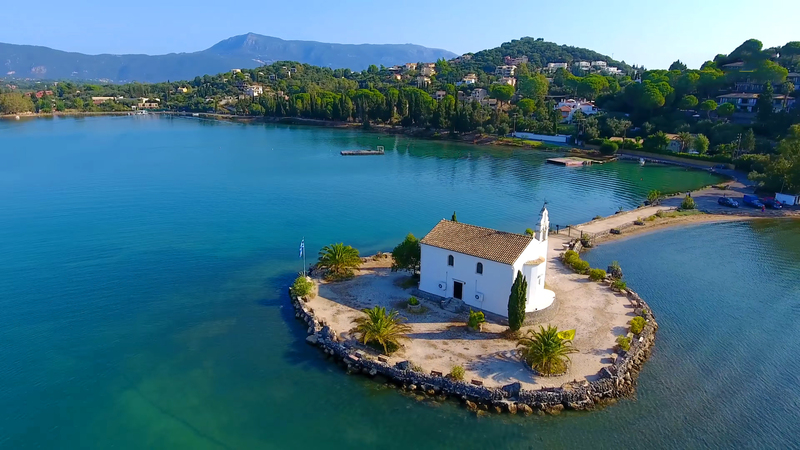 Find out more about Lefkas on our page dedicated to this charter destination. Discover how a sailing yacht vacation there looks like, read where to go aboard a motor yacht, take our advice on chartering a catamaran in Lefkas and get a glimpse of what a gulet cruise there is all about. For charter spots in other countries, check out our pages on the Croatian cities of Dubrovnik, Zadar and Split or see why Ibiza is considered one of the most popular charter destinations in Europe. The more you know, the better your choice on the perfect charter spot will be.